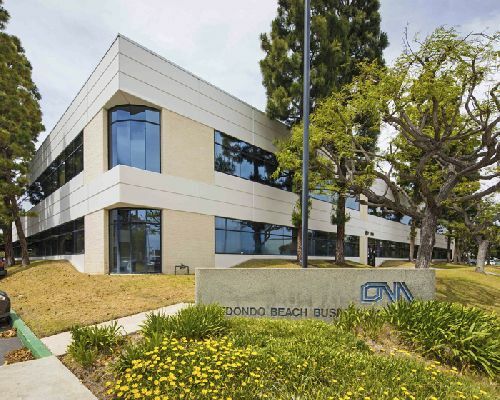 In a notable office buy out of LA’s South Bay region, Miramar Capital paid $36.7 mil for Redondo Beach Business Ct, a 124.4k sf ($295/sf) property in Redondo Beach. The asset, located at 3701 Doolittle Dr, is situated within Redondo Beach Business Court, adjacent to Northrop Grumman’s Space Park campus. It includes a separate day care facility. Kevin Shannon, Ken White, Michael Moore, Eric Adams, Chris Strickfaden and Eric Lastition with NKF Capital Markets represented the seller, Gramercy Property Trust, in the transaction. The property had less than two years remaining on the lease term for its tenant Northrop Grumman. “While there is substantial likelihood that Northrop Grumman would remain in place for the long term, the Redondo Beach/El Segundo submarket is so strong, should they not renew, ownership will have the opportunity to add value by converting the property into a creative office campus,” said Shannon. Built in 1986, 3701 Doolittle is a two-story office building located in a low-rise campus environment. It provides efficient floor plates, continuous glass line and abundant surface parking. The property is in close proximity to El Segundo’s Main Street retail areas, with more than 3 million people living within 20 minutes of Redondo Beach Business Court. “The West Los Angeles office market is a 58% rent premium over the El Segundo/Beach cities submarket and more than 93% higher when comparing the El Segundo/Beach cities submarket directly to Santa Monica. El Segundo has attracted more than 1.5 msf of tenant activity from West Los Angeles in the past decade and this trend will continue,” Shannon added.